Buzz Off can be used both indoors and outdoors on wasps, hornets and yellow jackets as well as on their nests. 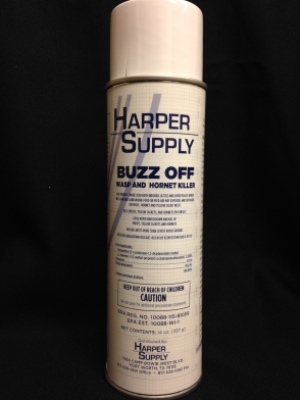 This powerful aerosol features two key ingredients to make it one of the most versatile insecticides available. The first ingredient, Tetramethrin, provides fast knockdown to kill insects on the spot. The other ingredient, Phenothrin, offers excellent residual action that creates an invisible barrier on surfaces to keep them from returning.